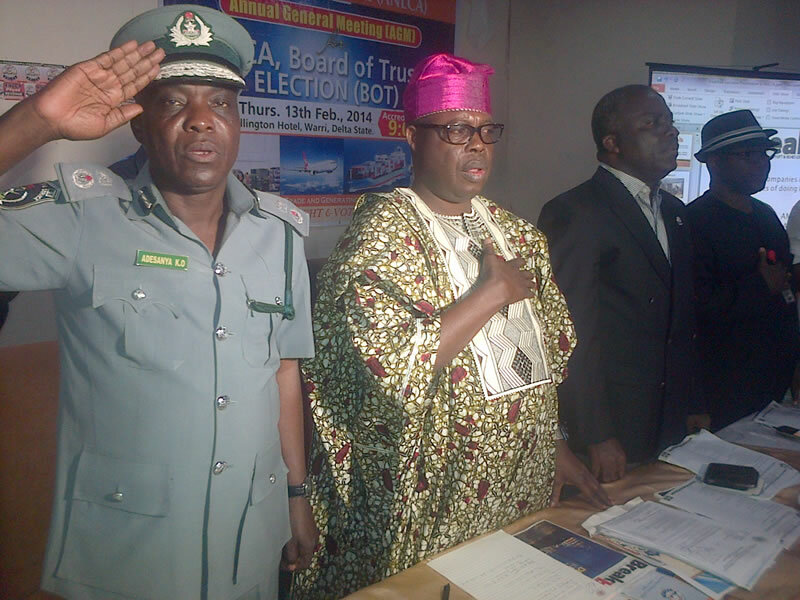 The Association of Nigerian Licensed Customs Agents (ANLCA) in the early hours of friday elected nine members to its Board of Trustees (BOT) for the next six years as Chief Tony Nwabunike scored the highest number of votes at the poll. Others that were elected into the Board included Chief Henry Njoku, Sir Ernest Elochukwu,Prince Taiye Oyeniyi, Chief Peter Obih,Dayo Azeez and Aare Sanni Shittu. Chief Dennis Okafor and Alhaji Mustapha Taiwo also made the list. However, one of the top contenders among the thirteen contestants, Alhaji Mukaila Okunola lost out of the elections. Also lost out of the election were Chief Obi Azodo,Enoch Nwaeze, and Alhaji Isah Aliyu. A total number of 368 voters were accredited Thursday in Warri, Delta State during the polls, while 2 out of the total figures were disqualified during the polls. Earlier before the inauguration, President of the association, Prince Olayiwola Shittu said that there is specific position in the BOT elections according to the association’s constitution urging them to select the chairman before the next weekend. He said that the association is the most democratic Freight Forwarding Association in Nigeria and that NECOM is never complete without the input from the BOT. According to him, “there is the need for the BOT and NECOM to synergize and harmonize in order to move the association for greater height”. Shittu also added that the victory of contestants is not complete until they are inaugurated. Speaking shortly after the election, Chief Henry Njoku said he is ready to work with other members of the Board adding that working together is of THE essence for the betterment of the association. Njoku noted that any of the nine elected members are potential leaders but one will eventually oversee the affairs of the BOT. He commended the Electoral Committee and the President of the Association for conducting a free and fair election for the interest and progress of ANLCA.